If you have kids, or watch movies, you probably know about Winter the Dolphin, who lives at the Clearwater Marine Aquarium on Florida’s Gulf Coast. She’s the dolphin who starred in the movie Dolphin Tale, and sports a prosthetic tail. But Clearwater Aquarium isn’t just a movie set. In addition to rehabilitating marine mammals like Winter who have been injured or stranded on local beaches, the aquarium works with other marine life in the same way. A few sea turtles live permanently at the aquarium due to afflictions that prevent them from being returned to the ocean. 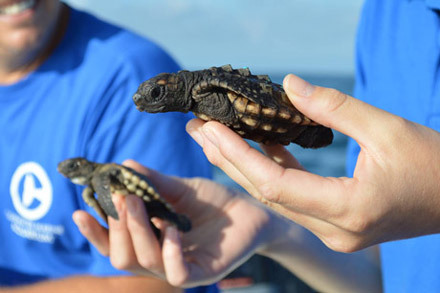 The aquarium staff care for these turtles and also countless others who have been rescued after having been injured by boats or natural elements. The intention is always to return them to the wild, and if that’s not possible, they’ll call the aquarium home, too. 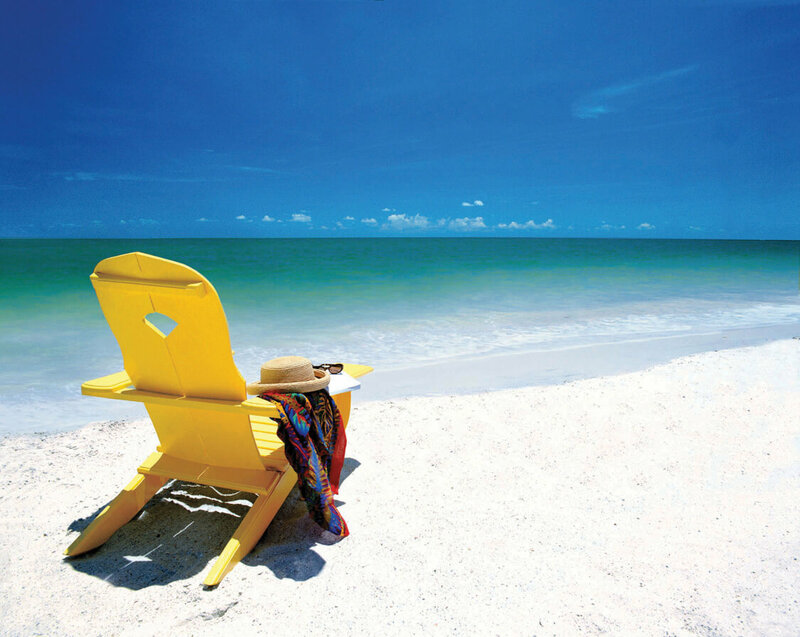 Sea turtle season here in Florida is roughly April through September. To help protect these amazing creatures, aquarium staff and volunteers patrol the beaches every early-morning, looking for tracks of females who had made their way to shore to lay hundreds of eggs at a time. A few months later, hatchings will start on the local beaches and lights will (hopefully!) be dimmed across the coastlines to help the new babies find their way to the sea. Sea turtle hatchlings instinctively go towards the moonlight, so any light from condos, hotels, resorts, or houses within a mile interfere with that instinct – hatchlings can often find themselves in roads or parking lots instead of the ocean! During my time volunteering with the aquarium, I had the opportunity to watch a few nests hatch, and help the aquarium staff with taking scientific measurements (e.g. length, weight, number of eggs in nest, etc.). Those late nights are some that I will never forget. If you’re in the area, check with the aquarium to see if you can be notified of any scheduled releases. Baby turtles hatched and ready for the ocean! Other animals you can see at the aquarium include otters, stingrays, sharks, pelicans and even an eel! One of the best ways to get a feel of the Clearwater area is by take the aquarium’s Sea Life Safari boat tour. 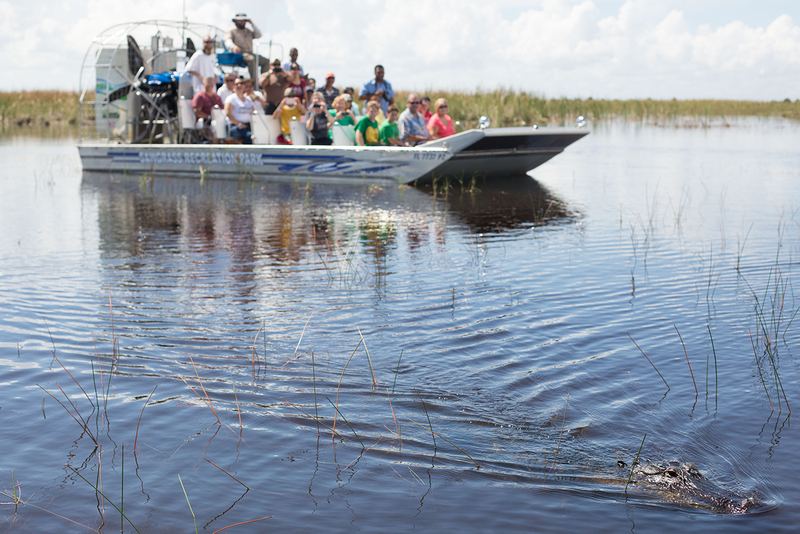 During the 90-minute tour, you’ll cruise the intracoastal waterways looking for wild dolphins, birds and other marine life. The onboard staff will even perform a net pull so you can see what lies beneath the water’s surface – we once saw a seahorse! 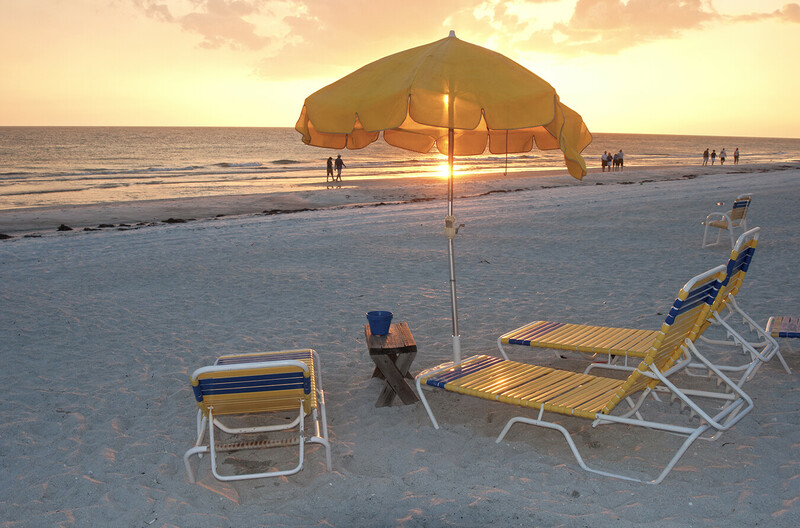 Clearwater’s beach and Marine Aquarium are a definite must for any nature lovers visiting Florida, and a lovely way to spend a day out on the Gulf of Mexico!